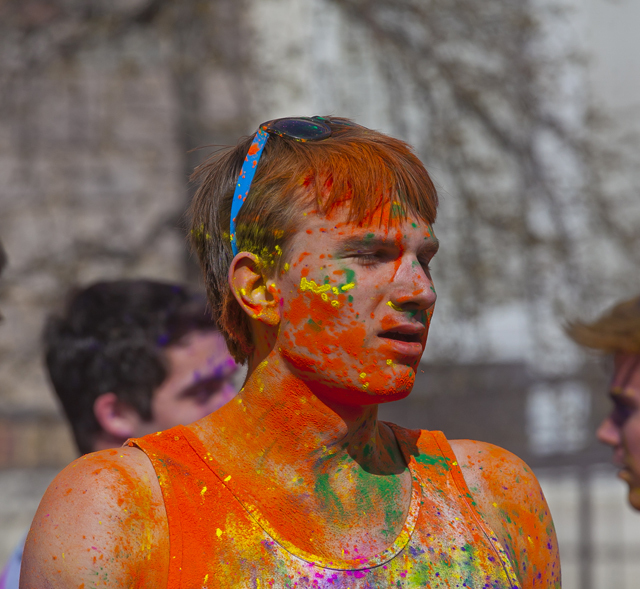 This page is no longer being updated and remains online for informational and historical purposes only. 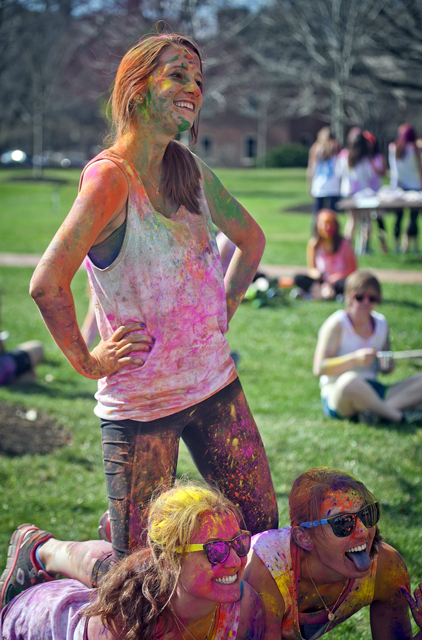 The information is accurate as of the last page update. 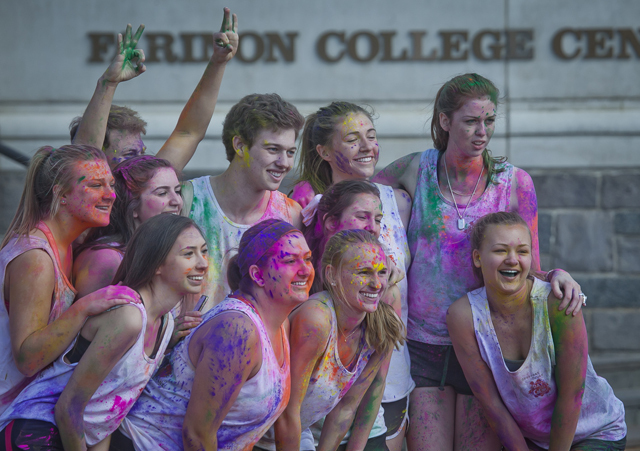 For questions about page contents, contact the Communications Division. 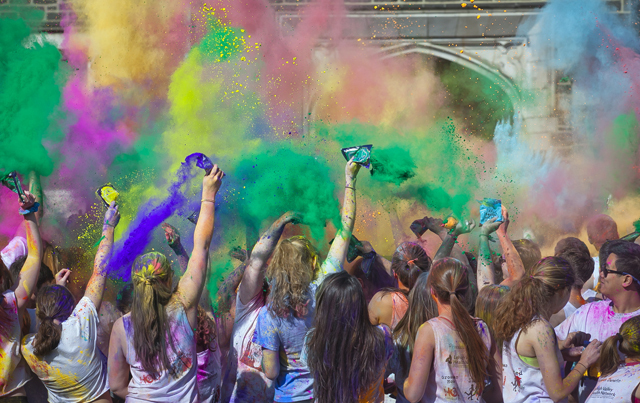 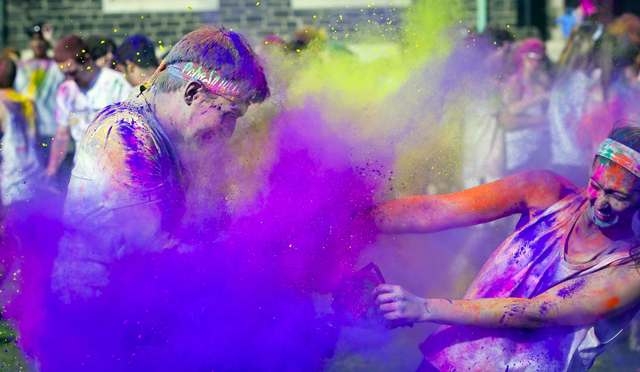 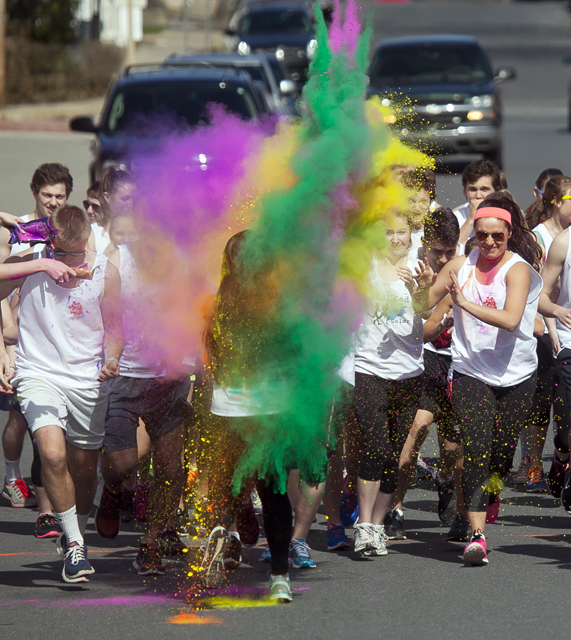 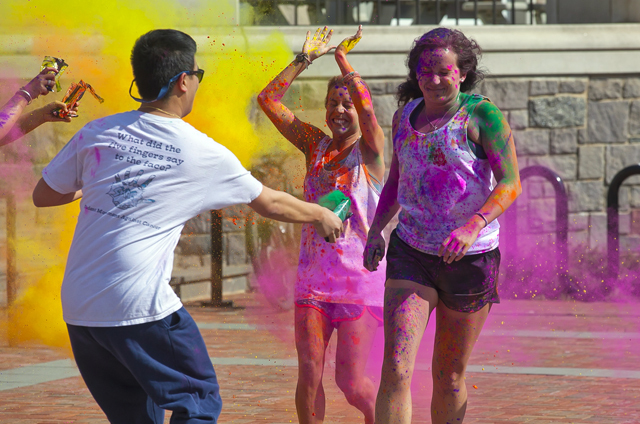 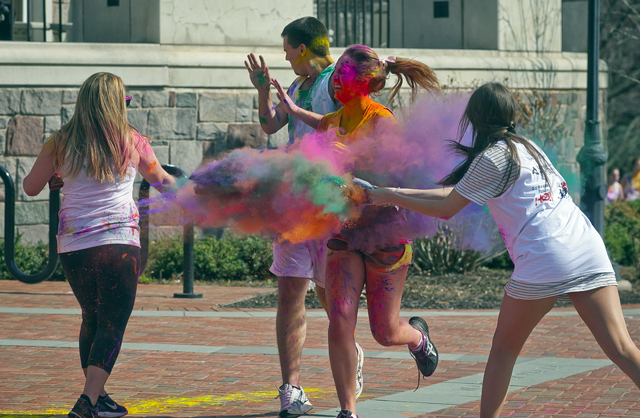 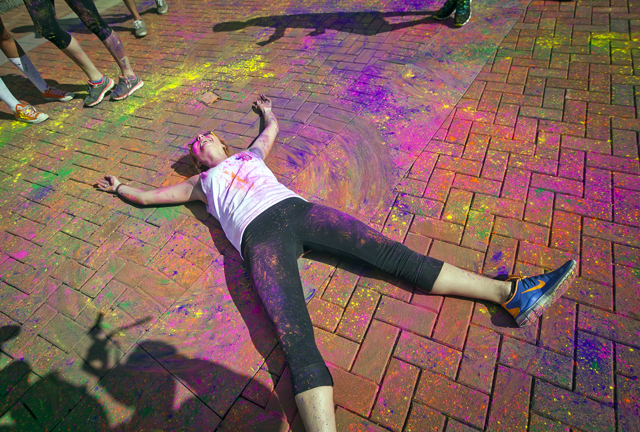 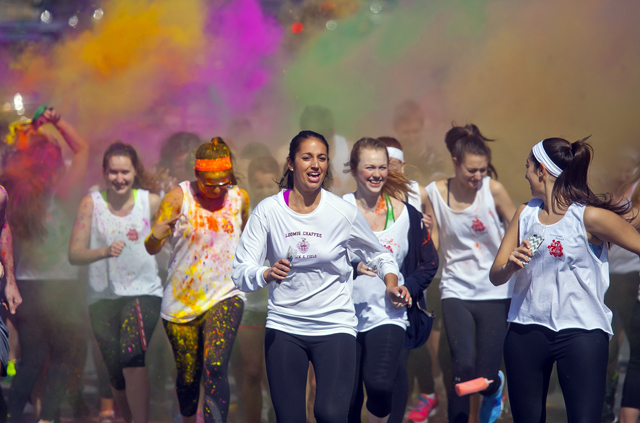 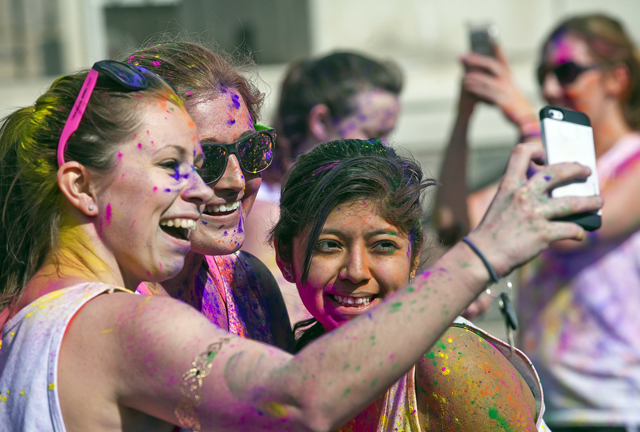 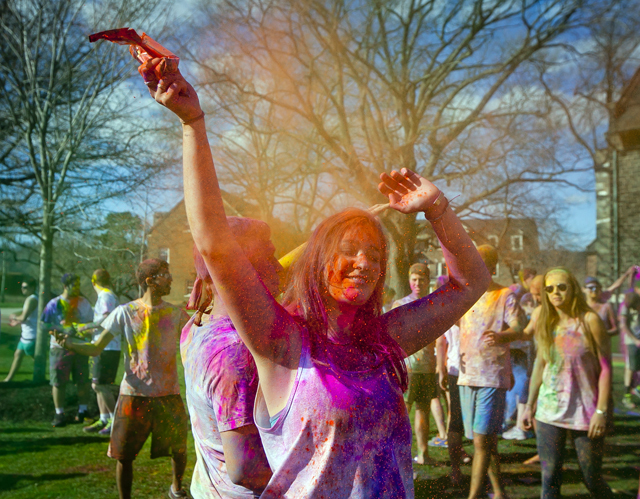 Over the weekend, students celebrated Holi, the Hindu “Festival of Colors,” with a color run across campus and a festival on the Quad. 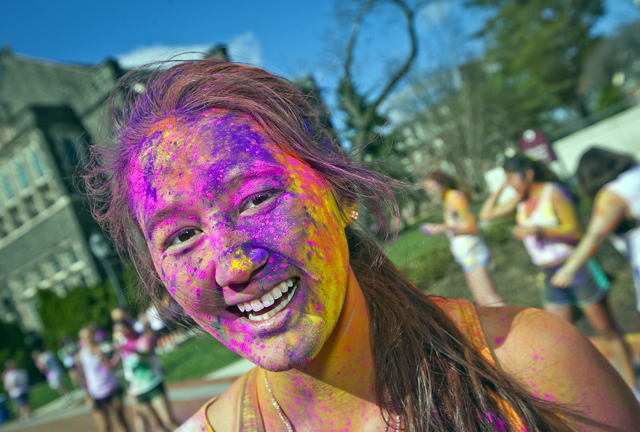 Observed primarily in India and Nepal, Holi celebrates the vibrant colors of spring and is intended to break down the social boundaries of class, religion, gender, and age. 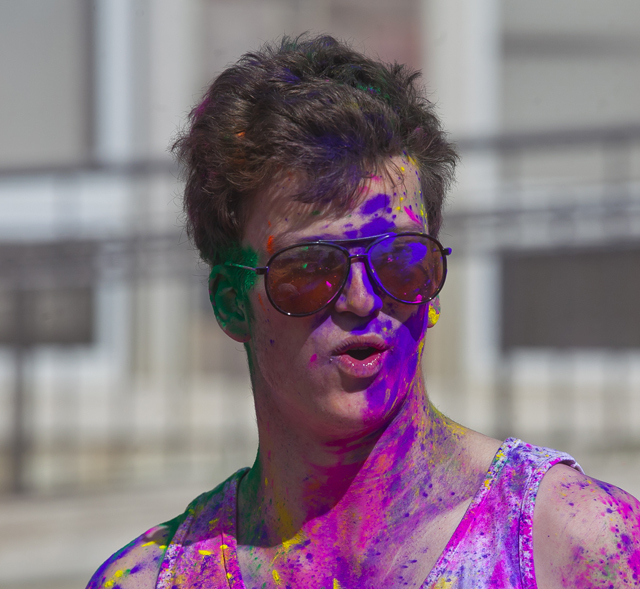 The highlight of Holi is when people throw colorful scented powder and perfumed water at each other. 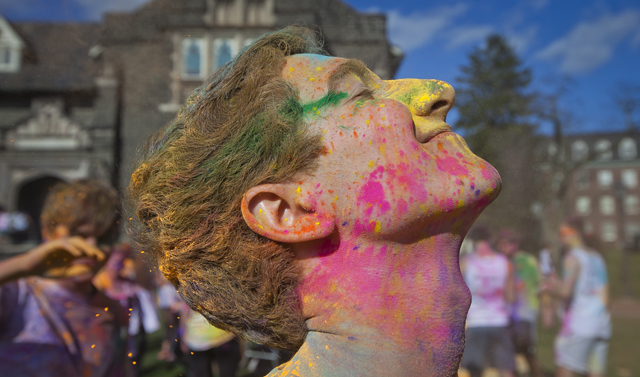 The annual tradition is sponsored by Alpha Phi sorority, Grossman House, International Students Association, Lafayette Activities Forum, and Student Movement Against Cancer.